This map isn't part of any series, but we have other maps of St Louis that you might want to check out. Forty years ago today, on March 16th, 1972, building A–16 in the notorious Pruitt-Igoe public housing complex was imploded with dynamite. Great significance was placed on this event by a man named Charles Jencks. He called it, famously, "the death of modernism." 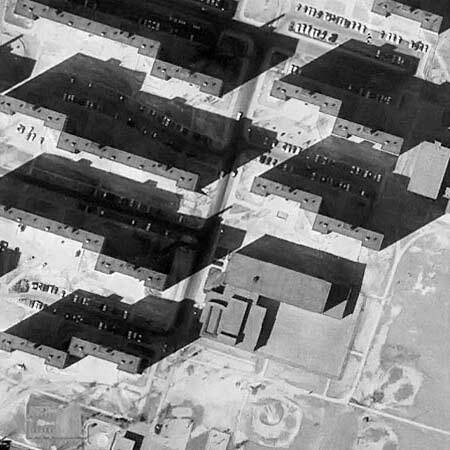 His account and others elevated the failure of Pruitt-Igoe -- a scant 20 years after its construction -- to the position of bogeyman... a horror story that urban planners tell their children on camping trips. Four years ago we started working on a film that we finished around a year ago. It's titled "The Pruitt-Igoe Myth" and we feel very fortunate that it's been met with some fantastic reviews (WaPo, Variety, NYT, New Yorker). My geographical research during the making of the film really informed my understanding of the site. 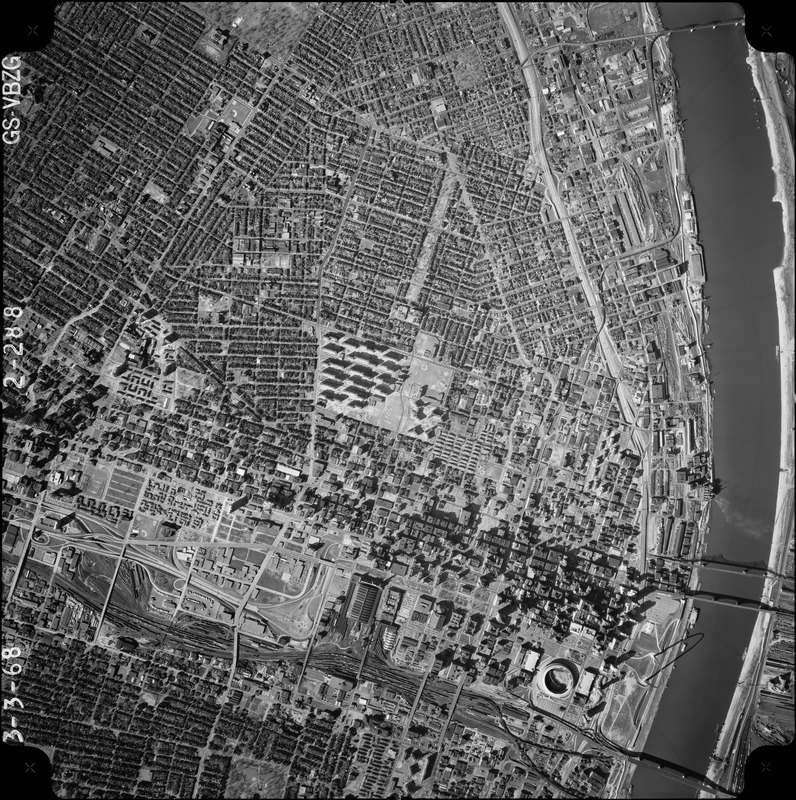 Early on we found this USGS airphoto of a very different north side. From it I made this Google Earth overlay (1.5mb KMZ file) which is really pretty eye-opening, and which is worth checking out, I think.